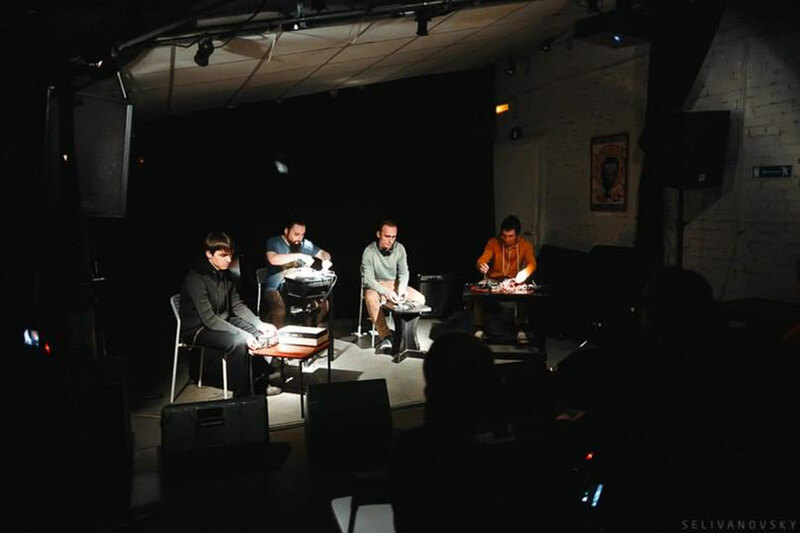 Electroacoustic improvisation studio is an association of musicians interested in modern improvisation, field recordings, EAI, psychoacoustics, searching for the new forms of relationship between musicians and listeners. The collective of the same name has been created by Andrey Popovsky and functioned in 2014-2015. 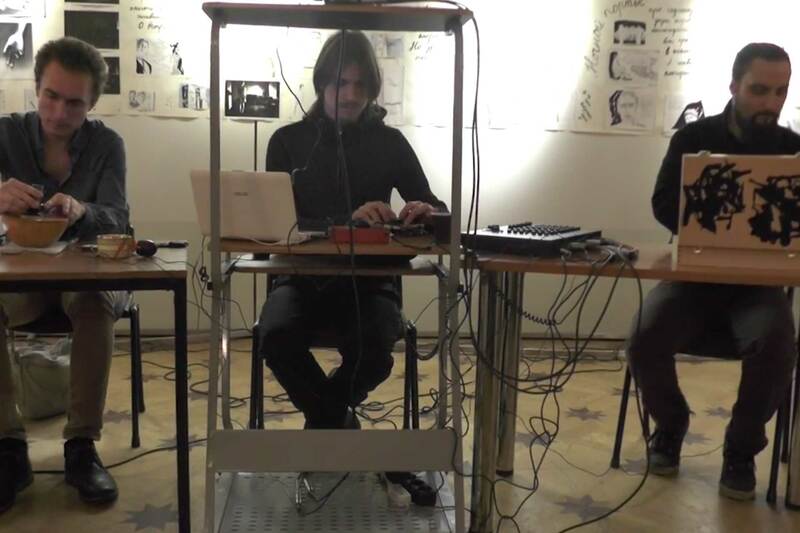 At the time, Studio developed sound performance "For 10 Minutes Longer", which was presented at various venues in St. Petersburg, including in the multi-channel version, and audiovisual performance "Space 1 → 3", which was shown at "Music of the Present" international forum. Participants: Andrey Popovsky, Boris Shershenkov, Denis Sorokin, Yuri Akbalkan. Andrey Popovsky is one of the key figures on Russian contemporary improvisational scene . 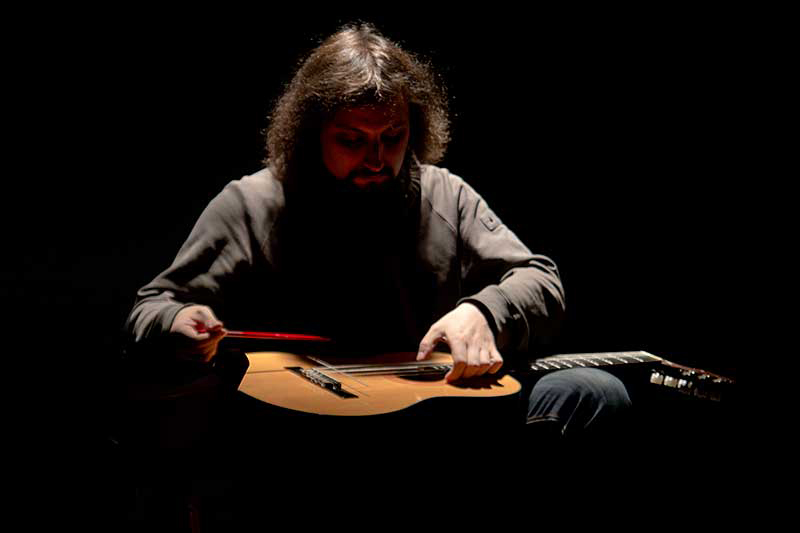 After numerous projects in which he experimented with electric and acoustic guitar sounds, composed music for chamber ensembles and played with almost all significant St. Petersburg improvisers, Andrey focused on a quiet and miniature sound of mini-amplifiers, e-bows, various surfaces and found objects. The main trends of the modern improvisation like everyday life objects (biscuit molds or electric toothbrushes), hidden sounds, silence and interaction with it, Popovsky studying carefully and thoroughly. Denis Sorokin is St. Petersburg guitarist, participant of various of projects playing music in the range from grindcore and progressive metal to noise ambient and free improvisation. Performs contemporary academic music, in particular music of Wandelweiser Group composers and avant-garde compositions arrangements for the prepared guitar. As improviser he works with different household appliances and found objects. Also he is known as visual artist in the sphere of abstract painting and graphics and designer of musical albums. 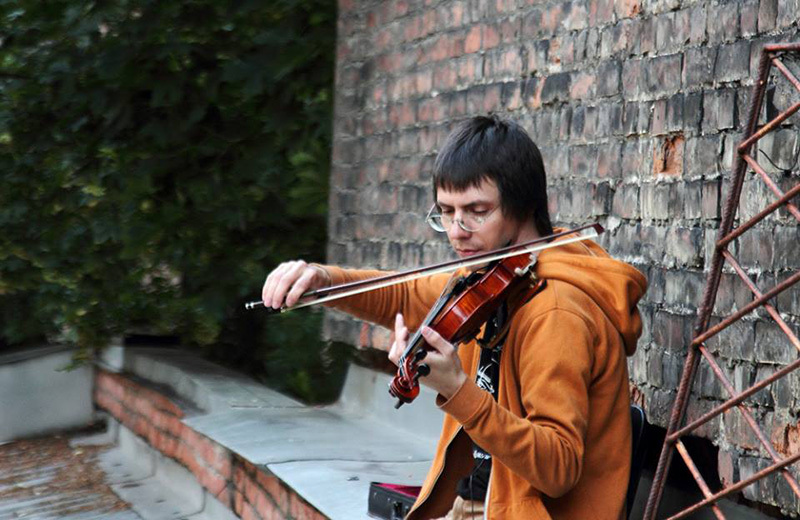 Yuri Akbalkan is the musician and composer from St. Petersburg working in the field of electro-acoustic music. 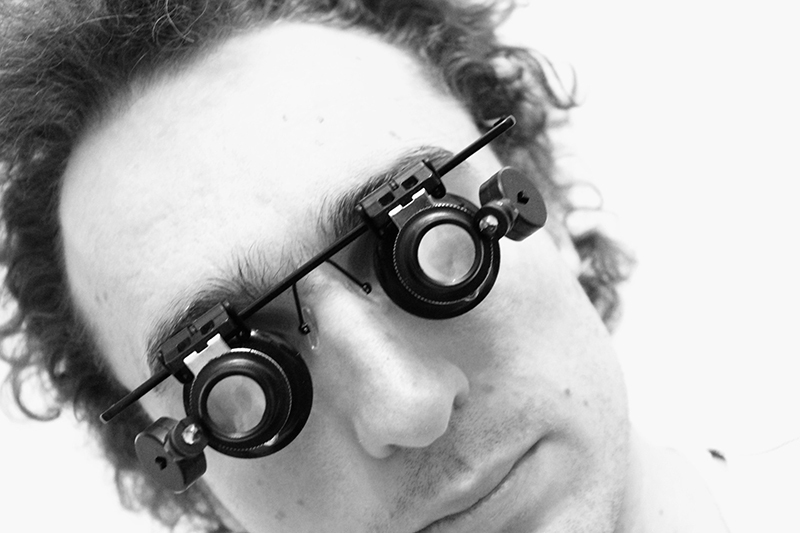 In his practice he explores the aspects of digital, analog and acoustic sound sources interaction, the sound objects integration into public space in the context of urbanization and non-verbal communications. Resident of the Center for Arts and Media in Karlsruhe (ZKM | Zentrum für Kunst und Medien Karlsruhe) at the Interdisciplinary Laboratory in the field of new music, modern dance, theater and new media. He studied composition at the The Rimsky-Korsakov St. Petersburg State Conservatory (the class of prof. S.M. Slonimsky) and at the Higher School of Music and Dance in Cologne (the class of prof. Marcus Hechttle).